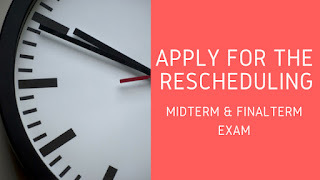 Now Students can Apply For Rescheduling Of Missed/Unplanned Midterm Paper. for Details of Rules and Procedure please Read this Complete Article. Only missed/unplanned paper(s) can be rescheduled.